Dermatologists specialize in assessing, diagnosing and treating conditions and diseases of the skin, nails and hair. Winona Health board-certified dermatologist and fellowship trained skin cancer surgeon, Kevin Christensen, specializes in Mohs surgery [named for Dr. Frederick Mohs], which, according to the Skin Cancer Foundation, is the single most effective technique for removing the two most common types of skin cancer, basal cell carcinoma and squamous cell carcinoma, along with certain melanomas. Mohs surgery is different from other skin cancer treatment because as each thin layer of tissue is removed, the Mohs surgeon examines the cells under a microscope during the procedure rather than after surgery, which allows for removal of all the cancer cells while leaving as much normal tissue intact as possible. Dr. Christensen specializes in the diagnosis and treatment of skin cancer as well as cosmetic treatments such as Botox, fillers, and laser surgery. 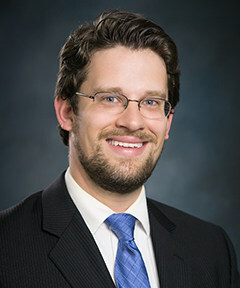 During his fellowship at MD Anderson Cancer Center in Houston, Texas, he learned surgical techniques that offer the highest cure rates for skin cancer and techniques to treat aging skin. He also provides general dermatology services.